Discussion in 'Pokémon Mobile Games' started by May, Oct 11, 2014. 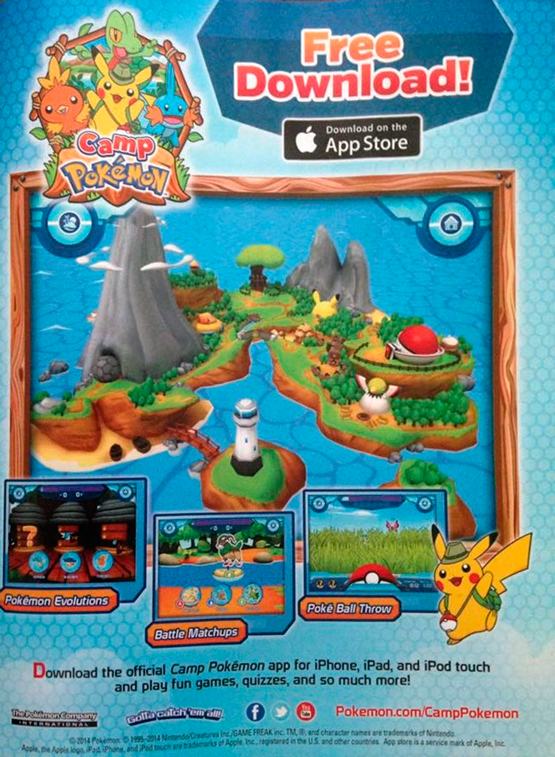 The National Geographic for Kids Magazine confirmed a new app for iOS systems: Camp Pokémon. This free app features a variety of small features that are similar to the official Pokémon website. We will have some mini-games, quizzes about Pokémon (like how the Pokémon evolves, Battle Match Ups and PokéBall Throw). The official website (http://www.pokemon.com/campokemon) has yet to open.